As the concern for the environment has increased in focus, Emission Standards have been set by governments in order to reduce greenhouse gases and make vehicles more efficient. Emission Standards have been created and contain certain criteria that vehicles must fall within in order to be roadworthy. Some states such as California have smog tests that must be passed in order for a vehicle to be driven on roads and be given a license. The best way to make sure your vehicle passes these tests is to have a properly functioning Mass Air Flow (MAF Sensor). This sensor is key to making sure that the engine is running at full efficiency when combusting the fuel mixture. 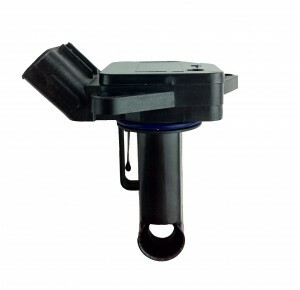 The MAF Sensor measures the air density entering the engine and helps the car's computer know how much fuel to inject into the engine for combustion. If there is a bad reading from the MAF Sensor it can cause the car's computer— engine control unit (ECU)— to inject too much fuel into the engine causing an imbalance of fuel to oxygen ratio. This can lead to excess fuel that will not be combusted (burned up) and only exit as fumes into the atmosphere. This is not only bad for your wallet (because of MPG loss) but can also hurt the environment and cause you to fail the Smog Test. When your vehicle is tested it will show you vehicle is emitting a high amount of particles measured as parts per million (PPT). Best thing to do if you think your car is running too rich (this can be detected visually by seeing black smoke coming from exhaust) is make sure you have cleaned the MAF sensor and that there is no Check Engine Light (CEL). If you do, try cleaning the MAF sensor with CRC Cleaner or look into the option of purchasing and installing a new sensor. Prices on these units are a lot more affordable that before due to similar aftermarket units. 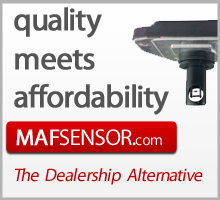 So look at your options and make sure your MAF Sensor is ready to save you money and save the environment.